Iced tea, cold beers, or a crisp soda are perfect for summer days. But what about when it’s 20-something degrees and cold? We have the 411 on the places with the best beverages in 417 to warm you up. Newly opened on Main Street in Nixa, this place has some seriously unique drinks to match its chic vibe. Try the Beefy Mary, which is a carnivorous twist on the usual Bloody Mary (it contains beef broth and comes with beef stick in place of celery). They also have come amazing coffee drinks, such as the Buzzed Trees & Bees. That comes with honey, maple, espresso, vanilla bean, and cream. Additionally, they have some unique bubble options for breakfast. And as a bonus, their food is also amazing! For those of you still mourning the loss of Barley Wheat & Rye, come have a look at the new joint. Reverie has a much more urban feel than its predecessor, with sophisticated cocktails to match. The Paper Plane is a mix of bourbon, Aperol, Amaro Nonino, and lemon. 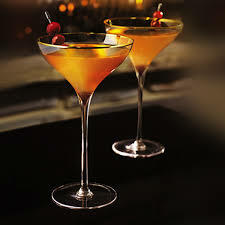 Or if you like something on the sweeter side, try the Moscato Cocktail that comes with gin, orange blossom, rose water, peach, lemon, and of course, Moscato. You can also go downstairs to the new restaurant, Progress, for unique dining options. Not too far from your usual coffee shop options, but they do have a few goodies if you have some special diet needs. They have a juice bar, as well as sugar-free flavorings and non-dairy milks. In fact, the sugar-free caramel latte with almond milk was delicious! This place doesn’t have a huge variety of offerings, and they are all pretty classic. However, what they do offer is from-scratch ingredients, including chocolate made in-house. So if you’re looking for rich, authentic flavors, try their house Mocha or Snickerdoodle. Located on the main floor of Springfield’s most-boutique hotel, The Order always has some libations that will keep you warm. Though they no longer serve the fan-favorite leather jacket, their Smoked Old-Fashioned is one of the best around. They also have some seasonal flavors, such as the Winter Solstice which has cranberry-vanilla infused gin, pine syrup, and cava. Yum! Let us know if we mentioned or missed your favorite!